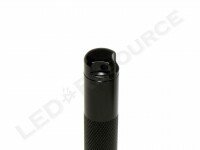 With the traditional styling of the original Mini Maglite 2AAA, Maglite’s new Mini Maglite 2AAA LED brings modern LED technology and performance to this compact flashlight. 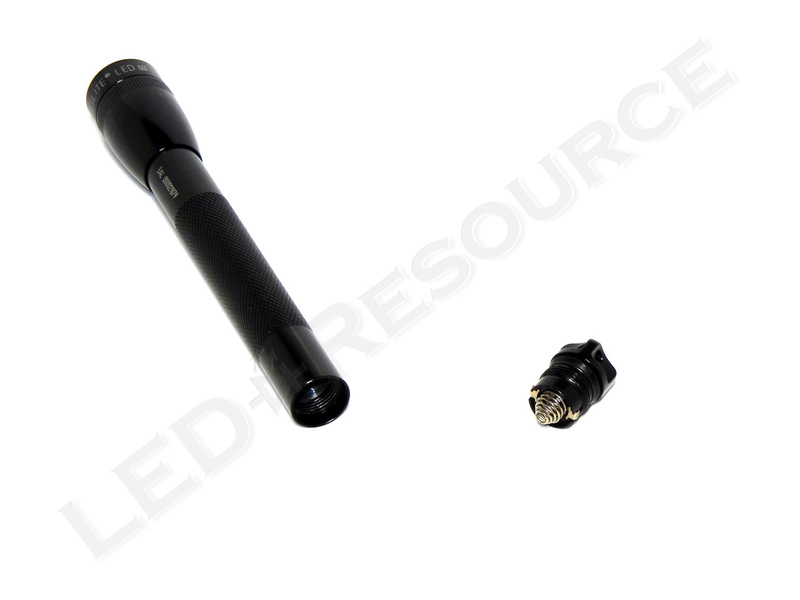 Although the incandescent and LED versions of the light look nearly identical, the new Mini Maglite 2AAA LED has 84 lumens of output and an extended runtime. 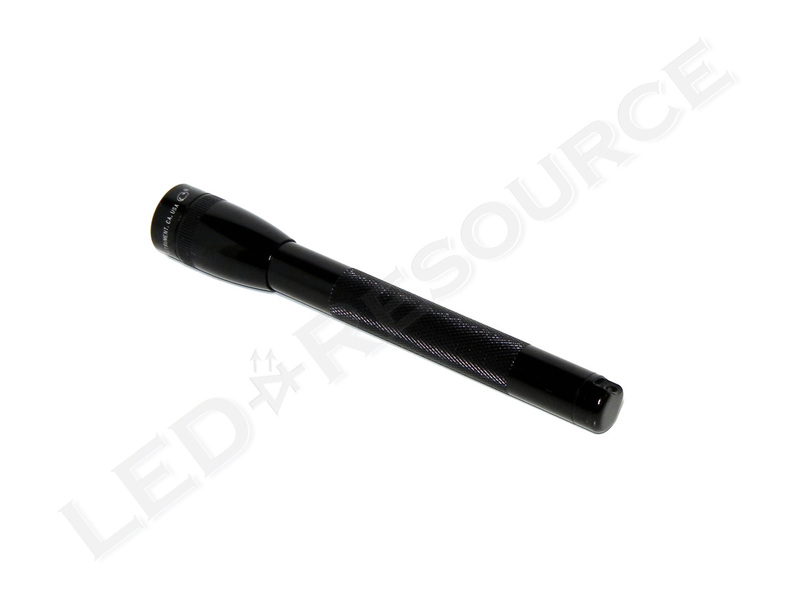 Small and simple to operate, this updated LED penlight from Maglite uses two common AAA batteries that can be found just about anywhere. Weight with Batteries: 1.7 oz. 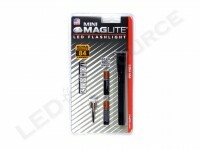 MSRP for the Mini Maglite 2AAA LED is $15.99, and the light is available in black, silver, grey, blue, or red. 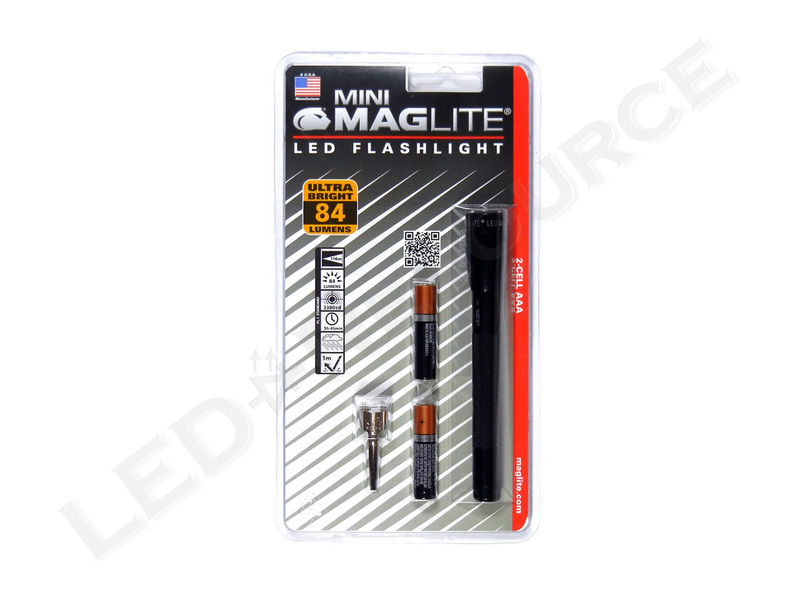 Included in the blister packaging are: Mini Maglite 2AAA LED Flashlight, 2 x AAA Duracell alkaline batteries, and pocket clip. 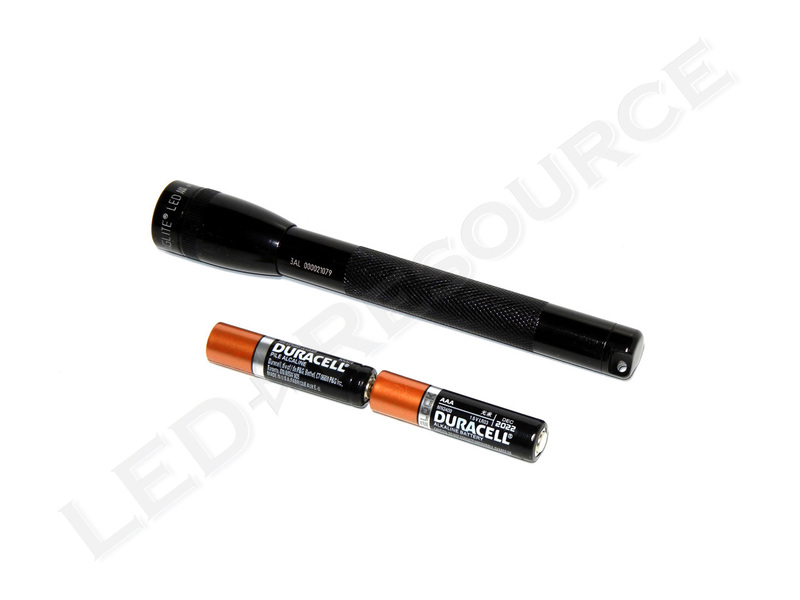 Like the original Mini Maglite 2AAA, the LED version of the light operates on two AAA batteries. 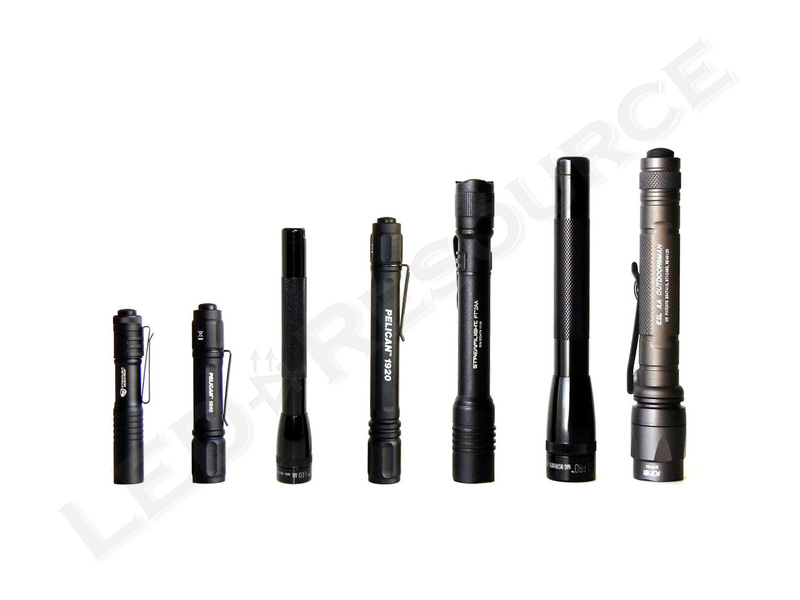 ANSI FL1 specifications for the lights are for alkaline batteries, but NiMH rechargeable and lithium primaries can also be used. 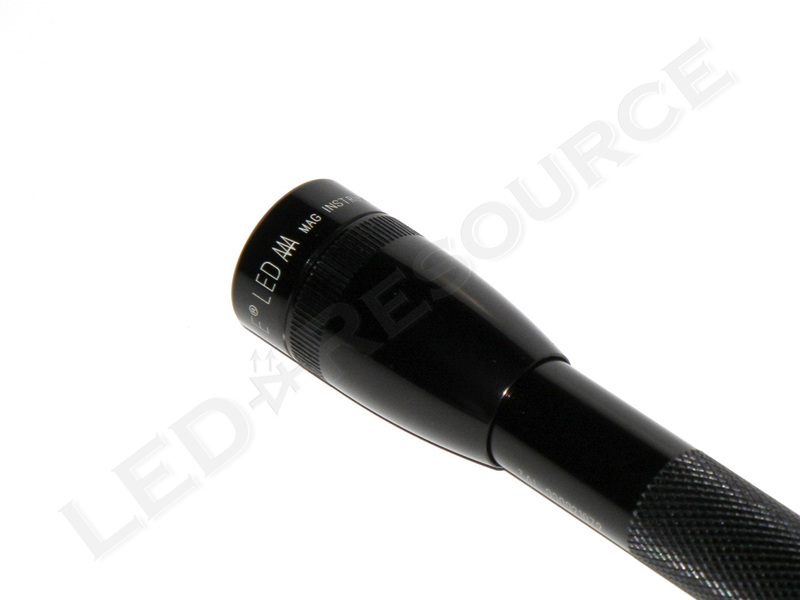 If you have an original Mini Maglite 2AAA, the LED version of the light will be very familiar. There are no changes to the exterior of the light, so any existing accessories will work with the LED version. As with most Maglites, the aluminum body is type-II anodized. 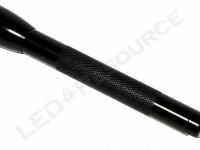 Knurling on the head and body provides grip for twisting the head, much like the larger Mini Maglite 2AA. 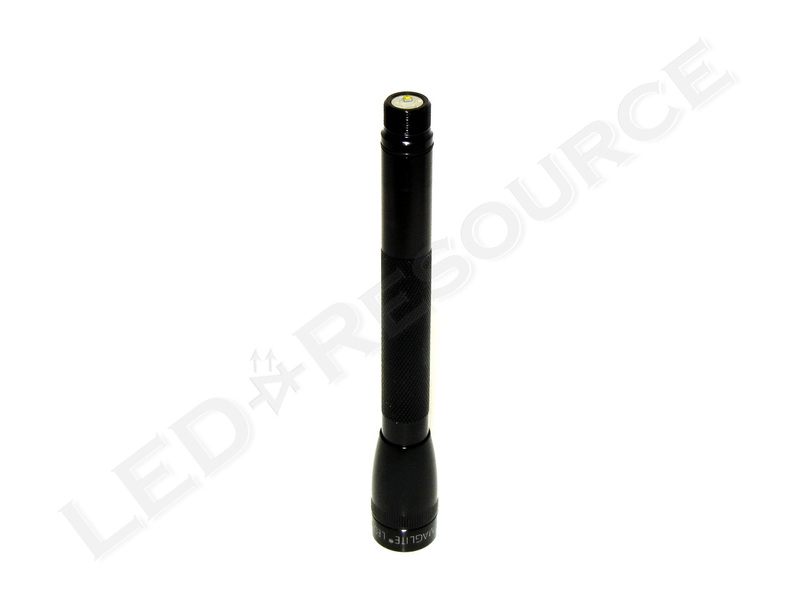 Using a Philips Luxeon C LED, the Mini Maglite 2AAA LED is rated for 84 lumens. As with all Mini Maglite models, the 2AAA LED can be operated in Candle Mode for area lighting (shown below without batteries installed). At the point when the light turns on, the beam pattern is unfocused and requires another quarter turn to reach optimal focus. 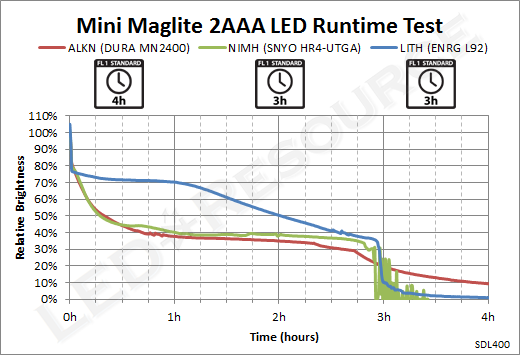 Our runtime tests for the Mini Maglite 2AAA LED showed a much shorter runtime than Maglite’s specifications, and we will update this section once we receive a response from Maglite. Included with the light is a pocket clip, which slides onto the barrel of the Mini Maglite 2AAA LED. As with most of Maglite’s products, the Mini Maglite 2AAA LED offers great value and is easy to use. 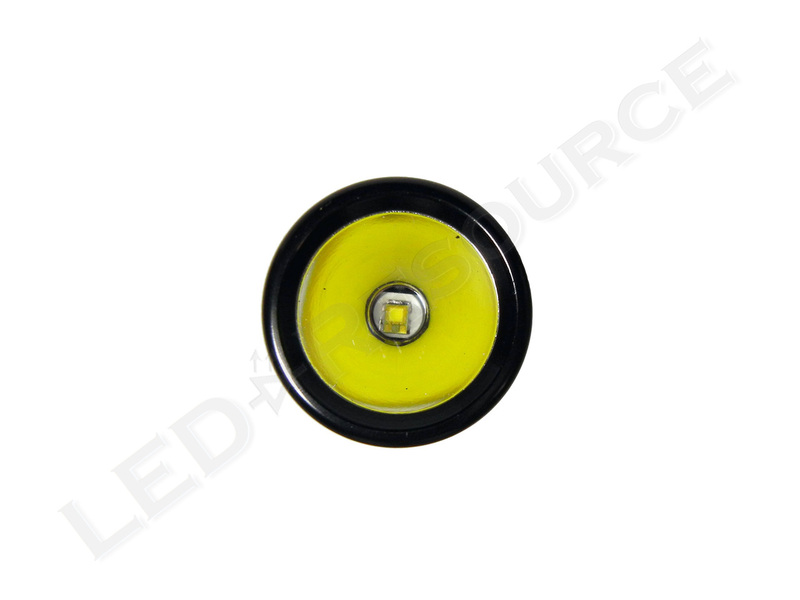 Compared to the original 2AAA light, which has an output of only 9 lumens, the LED version will make the incandescent bulb seem like a faint glow. The Mini Maglite 2AAA LED is bright enough for most common tasks, and having an MSRP of less than $20 makes the 2AAA LED very affordable. Due to unforseen circumstances, we haven’t been able to get around to it yet. 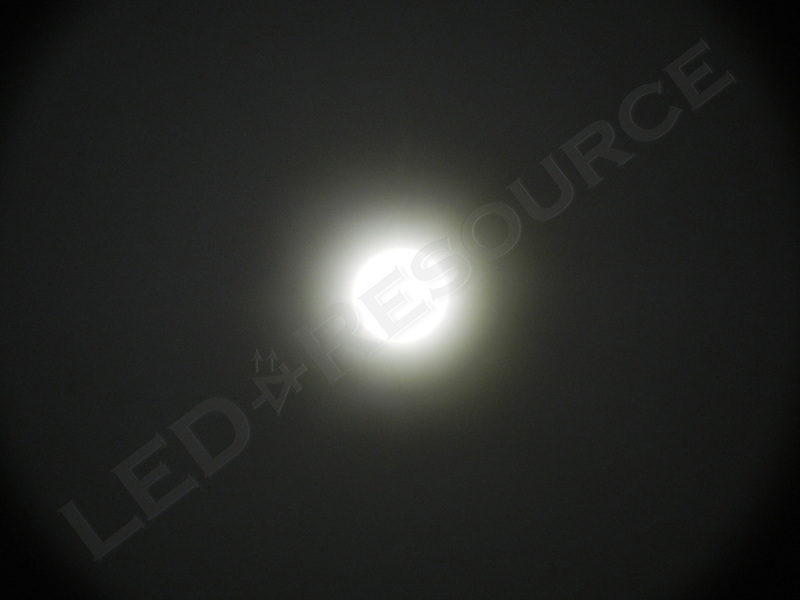 Our capacity is limited, and Solitaire LED is second in line for our backlog of lights to be reviewed. If there is anything specific that you want to know, feel free to ask. 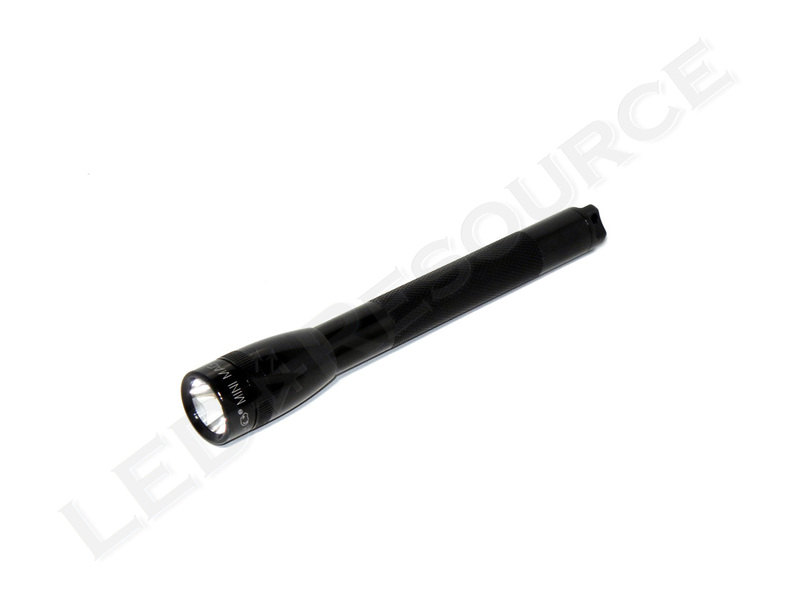 The Partner 2AA flashlight is one of those extra things that I keep in my bag. 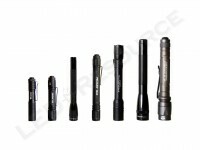 It met all my needs and expectations: bright, small, light weigh and has easy operation. 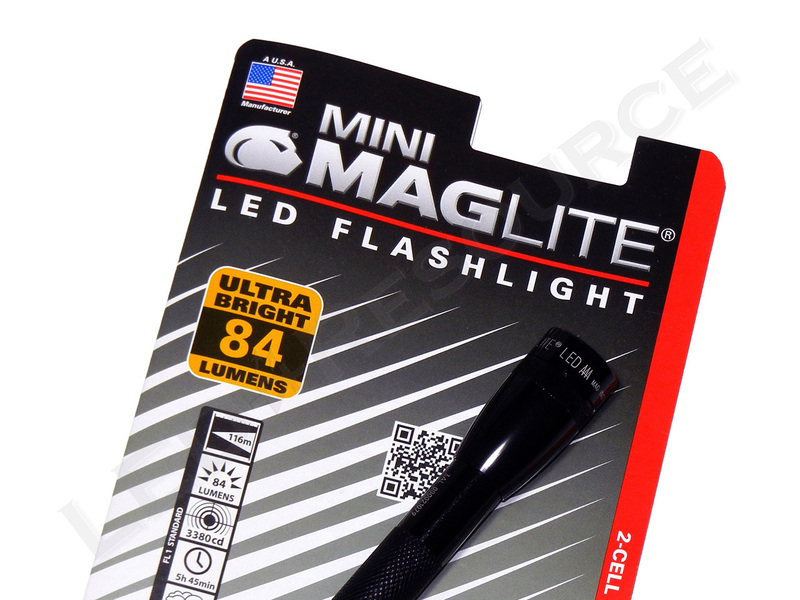 Just got the Mini Maglite AAA LED and it is quite a nice light. Loving it. The tint is better than the Mini Maglite AA LED PRO. The AAA has a white tint while the AA PRO has a bluish tint. I have one of these that has quit working. Have changed batteries can’t find ou how to change bulb or where to buy one. Help? 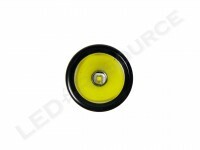 Do you have the incandescent or LED version? If you have the LED version, there is no bulb to change. Hi I Have both the double AAA and solitaire led maglites. Whilst I note you have given ru times with the lithium batteries on this review, I have had issues with lithium batteries, specifically with the solitaire. For some reason, although the battery as shown has having full charge when tested, the light has become very dim and switching on and off very erratic. 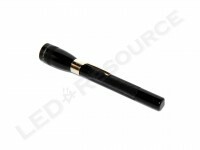 When replaced with a standard alkaline battery normal operation resumed. We do not recommend using lithium batteries on these models. We only recommend using alkaline batteries. Using a different type of battery can cause damage on the electrical component. I recall reading somewhere, I believe on this site that there are significant electrical differences between the different battery types and this can affect the operation of different lights. It seams advisable, to stick with the manufacturer’s recommendation i.e. unless the manufacturer specifically states lithium batteries can be used it is best to avoid them. Having said that, one wonders why manufacturers have not generally adopted lithiums over alkaline because overall they are superior in every way. 1. Lithium primary batteries (ie. 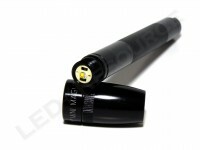 Energizer Ultimate Lithium) have slightly higher voltage and do have a different discharge curve. 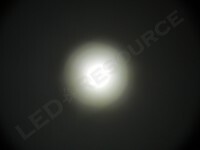 For incandescent lights, this could burn out the bulb. For LED lights, as long as they are regulated, this will not make a difference. The only failure we’ve seen that was caused by lithium primary batteries was in an unregulated 6AA light, which overheated due to the lack of thermal regulation (as well as poor heatsinking) and caused the plastic switch to melt. 2. I’m not sure how you tested the battery, but it cannot be done in open circuit, as the voltage of a discharged battery can recover to appear like that of a new battery. The voltage of the battery under load is a better indicator of remaining life. 3. Have you tested with another lithium primary battery? It sounds like you were using a discharged battery. If this light is turned off after few minutes will it start back on 100% level when turned back on? Just acquired one of these, pretty useful for the size. I can easily hold it with my mouth if necessary. The 2AA one is a little bit heavier for that. Recommended. I am using eneloops to power it and have no issue so far. I bought one of these early this year (2017), and been very impressed. I can light up the top of a 40 ft tree from 40 ft away! Eneloop white label batteries work perfectly.